During the New Year Eve of 2019, even the ideology of Marxism is being replaced. With merely a signed paper, the Marxist Society of Peking University was reorganized by force, and all those once took part in the activity of the society were expelled. The newly-reorganized “Marxist Society” abandoned the way of learning and practicing Marxism, whose first event was learning Confucianism and feudal-China idealist philosophies. They also held the event of visiting the exhibition of “Reform and Opening”, but they had too little time to discover the way of workers inside or outside the campus. Debates never died down after the publicity of the society reorganization. Students from the former society argued that the new Society had lost the purpose of striving for worker’s happiness and dignisty; the cadres of new Society criticized that the students “read few chapters of Marxist classicals”, and “express their wrong ideas without understanding it”. This stirred all those who believes Marxism or concerning about social reality, that what is True Marxism. The truth is from the debates. The criticalness and practicalness of Marxism can only be achieved by combining closely with reality. How does Marxism present in modern days depends on not the volume of voice, but either can it explain the reality, and point out a way for workers now living in poverty and hardship. If someone does have a one-sided view of reality, by debate can he recognize the world in a better way; if someone does have deviation in explaining Marxism, how could a debate not fixing that? If one debate can’t achieve this, we can have one more. 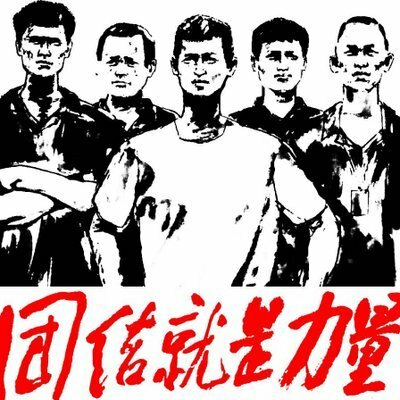 We hope that Wang Yubo, Ma Ning and all students from the new “Marxist Society” will accept a campus-wide debate with us on the practical meaning of Marxism in modern China. This can not only eliminate the differences in our opinions, but also allow more of the students to understand Marxism. We can achieve both at this stroke. In addition, all of us can contribute to this conversation. We hope our friends can have some comments on their view of Marxism and the two Marxist societies, you can either publish it or subscribe it to us, whom will put it out with your approvement. It is good if you have a lot to say, but it is also a voice heard with only some words. We believe that, with more and more individuals in discussion, and with more and more heated debates and arguements, we will have a much more view on the true idea of Marxism. Contact Qiu Zhanxuan, your opinion on Marxism is welcomed!